Ian Tomlinson is the Director of The Affinity Centre Wilmslow. 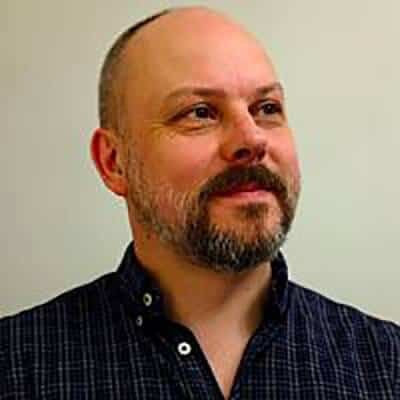 He works with individuals and couples, provides supervision and training for other therapists and delivers the ‘Getting The Love You Want‘ couples workshop at The Affinity Centre Cheadle with his partner Joanna Groves. The work I do with you, what ever issue you are bringing to therapy, will be moving you towards a rich and fulfilling life. I believe that as you get back into your life and connect with the joy of doing that, difficult feelings and thoughts will take care of themselves. You are happy in your relationship but want to have something deeper and take it to the next level of connectedness. I spend a lot of my time working with couples and see all of the situations mentioned above regularly. The good news is that, if you are both willing to do things differently, you can heal the emotional wounds you are causing each other and have the relationship you truly desire. Imago Relationship Therapy offers you a very different way of relating to each other. It will encourage both of you to talk to each other in a safe, respectful way about what is going on. Imago dialogue gives you a structure for you to really hear your partner and really listen to what they have to say. This can feel liberating and scary, and offers the potential to move you into a completely different type of loving relationship. (Please read the post I have written about how Imago Relationship Therapy works here). I use Acceptance and Commitment Therapy (ACT) and Transactional Analysis (TA) in the work I do with individuals. ACT will help you stand back and look at what’s going on in your life and what you are doing that perpetuates the misery. The next step is to identify what’s important to you in life and move in that direction, working with the thoughts and feelings that come up as you do this. ACT is a behavioural approach, it’s practical and most clients “get it” fast, then start making changes in their life quickly. Transactional Analysis (TA) is a model of psychotherapy and can help you understand why you might do some of the things you do and how you past has played a part in this. It’s a useful model if we need to dig a bit deeper to find the roots of an issue that are keeping you stuck. I use Imago Relationship Therapy almost exclusively in my sessions. This is different to what you might have seen or experienced before in couples therapy because you will not be talking to me, you will be talking to your partner using Imago Dialogue. My job is to help you do that by saying the unsaid and keeping things safe. I honestly believe that the work you do in the therapy room is only one part of the transformation of your relationship. We will spend time together discussing ways in which you can connect with each other as you get on with your busy lives and how you can get your needs met in the relationship in a mutually beneficial way. I will also encourage you to bring the dialogue process out of the therapy room and into your everyday life, establishing healthy patterns of relating and moving you away from arguing and disconnection. I work with people who are feeling stuck, frustrated, anxious or generally not OK and want to do something about it. Common issues I work with include anxiety, stress, feeling unfulfilled, relationship issues and issues around sexuality. There is also a tonne of other issues that clients have brought because we are all individuals and all have our stuff. Have a chat with me on the phone if you are interested in working with me and we will check out if we fit. I work with straight, gay and lesbian couples and know that your sexuality will make a difference to how you relate to each other. I work with couples who have just got together, couples who are in the midst of separating, couples who want to deepen their relationship and couples who live parallel lives and want to connect again. I am very experienced in working with couples where one partner has had an affair and know how to help both partners come to terms with the impact this has on a relationship. I do require both partners to be up for the work and be willing to do things differently. I love the work I do with individuals and couples and feel privileged to be able to do what I do. It’s great to see clients grow and get back into their lives and noticing all the difficult feelings and thoughts they once had sort themselves out without them having to work hard at trying to make them go away. I enjoy seeing two people who were struggling start to connect and finally feel hope for their relationship again. Helping you get there gives me a buzz. I’m also fascinated about what makes a good relationship and, having felt the difficulty and pain of disconnection in my own relationships, want to help others really experience the love they deserve. I love Imago Relationship Therapy and think it’s a great way to build a deep loving relationship. I love how it focuses on all of the positive aspects of your relationship as well as helping you to deal with the difficult stuff. I find the dialogue process an amazing way to communicate in my own relationship with my partner. My first website – no longer receiving new content. I work day time hours only and do not work evenings or weekends. I charge £65 for a fifty minute session for individuals. I charge £120 for a ninety minute session with couples.